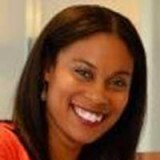 Tiffany M. Griffin, PhD is a social psychologist with expertise in inter and intra-group dynamics, linkages between psychological processes and structural discrimination, as well as the implications of identity and discrimination for educational, mental health, and physical health disparities. Dr. Griffin has a wide range of public policy experience including legislative experience in the US Senate, international development experience at USAID, and advocacy experience with the American Psychological Association. Dr. Griffin received her Ph.D. from the University of Michigan in 2009, where she was a NSF Predoctoral Fellow and recipient of the 2008 Innovations in Social Research Dissertation Fellowship. Tiffany’s work has addressed the connections between social psychological processes, social disparities, and public policies in the US, Brazil, sub-Saharan Africa and the Caribbean. Dr. Griffin also possesses expertise in the areas of experimental research, survey design and research, data analysis and statistics, monitoring and evaluation, writing for publication, grant writing, and editing. Tiffany recently completed an American Psychological Association Congressional Fellowship in US Senator Bingaman’s (NM) office, where her portfolio included health (i.e., Medicaid, patent law, US-Mexico border health, FDA), food/nutrition (i.e., domestic food security, school-based nutrition, SNAP [food stamps]), and vulnerable populations (i.e., TANF [welfare]). Prior to her Congressional Fellowship, Dr. Griffin completed a postdoctoral fellowship at UNC Chapel Hill, worked for the National Poverty Center, and engaged in consulting and service activities focused on ameliorating educational and mental health inequalities. In her “free” time, Tiffany enjoys running her vegetarian and vegan consultancy, Como Water, listening to Afro-Portuguese music, and watching documentaries.